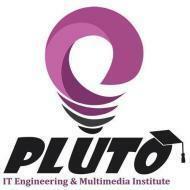 Pluto IT Engineering & Multimedia Institute is Authorized Training Center by C DAC Govt. of India. Our Institute and their courses are Government Recognized and approve by A Scientific Society of Ministry of Information Technology, Govt. of India. We provides high quality training for Certified, Diploma, Advance Diploma and Post Graduate Diploma in Graphic Design, Web Design, Web Development, 2D Animation, Video Editing, IT Engineering, Programming Language, Account & Finance, SEO and Digital Media Marketing. Pluto It Engineering And Multimedia Institute conducts classes in Animation & Multimedia, C Language and C++ Language. It is located in Saiyed Vasna, Vadodara. It takes Regular Classes- at the Institute.